A traditional marine quality highly durable UV resistant varnish. Ideal for use on yacht woodwork, doors, gates, fascias, sheds, furniture etc. Can be used over existing paintwork to increase gloss finish and weather resistance. Drying time 6 hours, coverage 14m2 per litre. 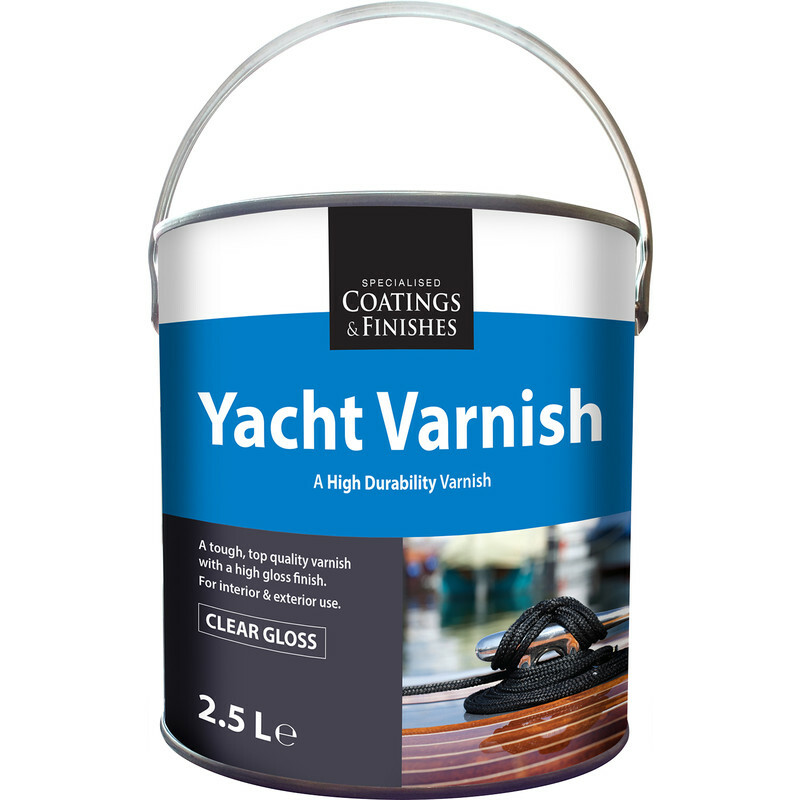 Yacht Varnish 2.5L is rated 4.6 out of 5 by 22. Rated 1 out of 5 by GB the diy man from Excellent product I have used this on my old tired decking after I oiled it and I am very pleased with the result. A very shiny glossy finish and looks hard wearing although I think I will have to put some rubbers on my patio furniture legs to lessen scratching it. Also the any splinters in the decking have been sealed under the varnish. I have put two coats on but plan to do another two soon. It dried in about 3 hours although it was a warm sunny day. Rated 5 out of 5 by Robin H from Easy to use, Great Finish. Bought this to use on a Longbow I was making, I have in the past had problems with some varnishes leaving runs but this product is excellent, it looks like black treacle in the tin and has jelly like appearance but goes on great and leaves a run free finish. Rated 5 out of 5 by Garth1 from First class. I bought this item last week, and am very pleased with the high gloss finish, applied straight from the tin on previously varnished doors. We live in a maritime area, so this varnish appears perfect at only £10.99 per litre, delivered, it is a bargain. Rated 5 out of 5 by Bugsie from Clear cut A good varnish with great cover abilities.